Seat's new compact SUV will take design cues from the the larger 20V20 SUV concept, shown. It will have a front end that closely resembles the brand's Leon hatchback. Volkswagen Group's Seat brand will unveil its first SUV as the brand seeks to benefit from a booming segment in Europe. The SUV will be unveiled on Wednesday ahead of its public debut at the Geneva auto show in March, a Seat spokesman told Automotive News Europe. Seat has not disclosed any details about the SUV ahead of the official unveiling. Motoring press reports said it will be called the Ateca in keeping with Seat's tradition of naming its cars after locations in its Spanish home market. Ateca is a town in the northern Spain. The SUV will take design cues from the midsize 20V20 concept unveiled at the Geneva show last year. It will sit alongside Seat's Leon compact hatchback. Like the Leon, it will be based on parent Volkswagen Group’s MQB architecture, which also underpins the new VW Tiguan. Former Seat CEO Juergen Stackman outlined the brand's plans to enter Europe’s fast-growing SUV/crossover segments, starting with the compact class and then the subcompact SUV sector. Since then Stackmann has moved to VW brand as head of global sales. His successor, Luca de Meo, Audi's former sales and marketing boss, is continuing Stackmann's SUV push. The new SUV is set to become the brand’s third major pillar, together with the Leon and the Ibiza subcompact, de Meo said in a Jan. 19 press release. The model "will enable us to cover the fastest growing segment in recent years," he said. The SUV is due to reach European dealerships in the middle of the year. It will likely be priced at about 20,000 euros in Germany, AutoBild magazine said, which would be similar to the Qashqai's 19,990-euro starting price. After years of losses, Seat needs to substantially increase its sales volume to become sustainably profitable. The brand's global deliveries rose by 2.4 percent to 400,037 last year. 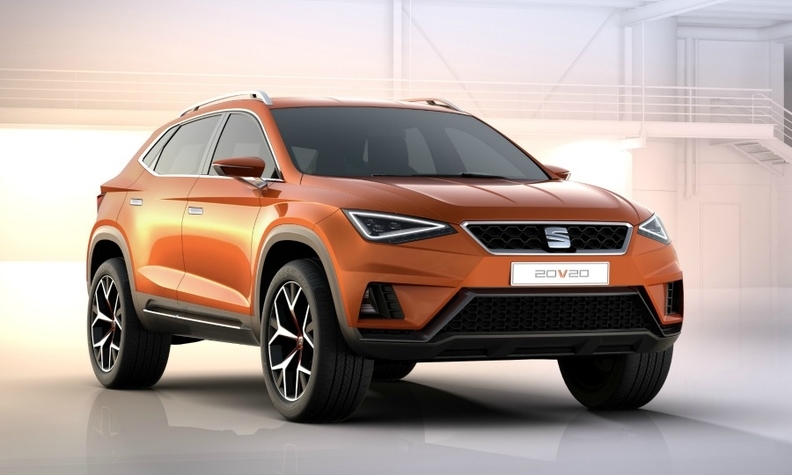 Seat is one of the weakest among the group’s dozen brands and the division had a 40 million euro deficit in the third quarter after a profitable first half. The fallout from VW Group diesel emissions rigging has led to worries that Seat will be targeted by its German parent for cost reductions as the multibrand group seeks to slash spending to cover the costs of the scandal. VW Group sister brand Skoda will build the Seat SUV at its plant in Kvasiny, Czech Republic. Skoda will unveil the Kodiak concept for a large, seven-seat SUV in Geneva.